Uh. Oh. I still have a teddy. It’s time for me to make a confession. It may change the way you think of me. I. Still. Sleep. With. A. Teddy. Bear. I know, I know. From the looks of other teen’s lives, I should have dropped this relationship when I was 10. My teddy bear, Honey, and I have been together since I was one. She has travelled across houses, states and watched me grow up. She does come with me to my friend’s houses (when I stay the night) but that’s not because I can’t sleep without her. I take her because I can. Don’t get me wrong, she isn’t secretly hidden in a back-pack wherever I go, we have space. I don’t play tea parties with her (not that that’s a problem), she isn’t dressed in different outfits every day and she is not in a relationship with another teddy. She simply lays on bed during the day and when I go to bed, she is tucked underneath my arm and we sleep. Is there something so wrong with that? I don’t think so. 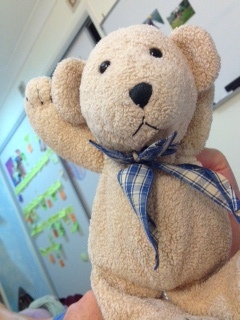 According to Parenting-Advice.net, teddy bears support the child and makes the child feel supported and accepted. They can make the child feel loved and help with emotional distress. Tick, tick and tick. That’s what Honey is for me. But I am no longer a child. When I was about 10, I stopped bringing Honey away to friend’s houses with me, simply because at that age, people do judge you for it. You are transitioning between child and tween. And, at the time, it seemed uncool. However, I think as a teen with friends who know me very well, I can take Honey to their house and they can bring their unicorn, bear or mouse to my house. Having a teddy bear, or whatever animal you have, is now something that is funny and just accepted. I don’t want to leave Honey anytime soon. Please tell me you feel the same. Do you have a teddy bear? When did you stop sleeping with a teddy bear? 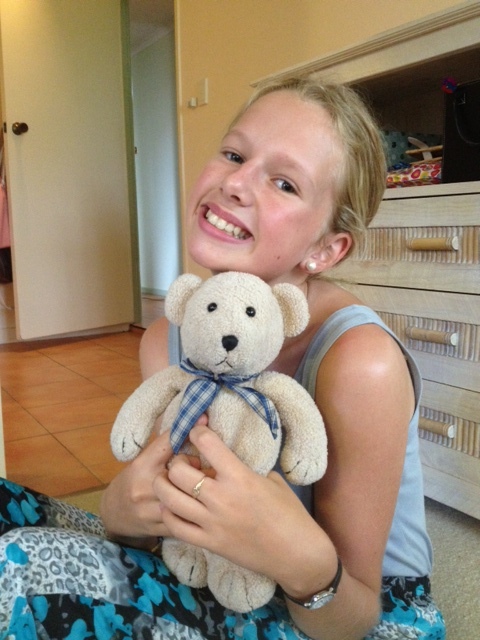 How does having a teddy bear make you feel?